Prog rock legends King Crimson will tour the United States in 2017 according to the band’s guitarist Robert Fripp. The group has also undergone a lineup change, expanding the Seven-Headed Beast to a Double Quartet Formation. Writing in a recent diary entry on his website, Fripp revealed King Crimson will spend 2017 mostly touring America. According to Fripp the tour will commence in Seattle (where they wrapped a tour in October 2014) and continue along the West Coast in June and July. The U.S. tour will continue his fall on the East Coast wrote the guitarist. Fripp also announced multi-instrumentalist Bill Rieflin had returned to the band following a sabbatical. 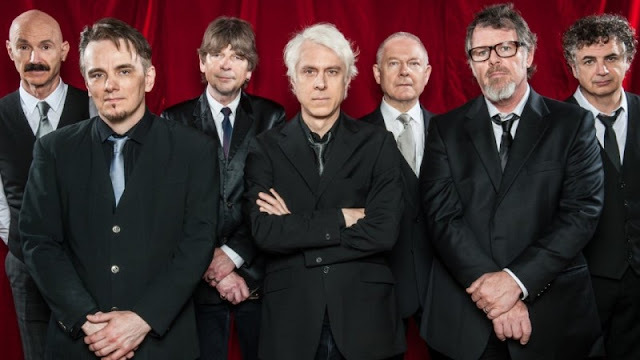 Along with Fripp, he rounds out a lineup featuring guitarist Jakko Jakszyk, bassist Tony Levin, saxophonist Mel Collins, and drummers Gavin Harrison, Pat Mastelotto and Jeremy Stacey.